SOMEONE'S GOING TO DIE--AND IT COULD BE THE NEW PRIME MINISTER. OR MAYBE KATE'S BEST FRIEND IN THE WORLD! 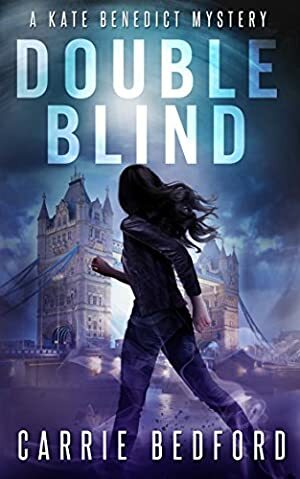 Two politicians and her best friend have the death-predicting auras London architect Kate Benedict can see despite her most fervent wishes. She's had the dubious gift for a year now, and suddenly there's no longer any ignoring it. But the only way to get to the two pols is via her old friend, DCI Clarke; yet her warnings go unheeded. Her frustration builds when her best friend, Anita, refuses to believe in their existence as well -- even when one appears over Anita's boss in the hospital where she works. And then Anita develops her own aura. WHO ELSE WILL LIKE IT: Anyone looking for a new, fresh female sleuth, as well as fans of paranormal suspense, traditional (yet not too cozy) stories, contemporary British women detectives like the ones found on the BBC's ROSEMARY AND THYME and MURDER IN SUBURBIA, and mysteries with a metaphysical twist, like Kay Hooper's Bishop Files series, Iris Johansen's THE PERFECT WITNESS, and Heather Graham's Krewe of Hunters books. Log In to track Carrie Bedford on eReaderIQ. to be notified each time the price drops on any book by Carrie Bedford. to stop tracking Carrie Bedford. We started tracking this book on August 22, 2015. The price of this book has changed 39 times in the past 1,343 days. The lowest price to date was FREE last reached on December 17, 2018. The highest price to date was $3.99 last reached on March 21, 2019.